300-year-old Charity Hospital closed after Hurricane Katrina without explanation. Alexander Glustrom's documentary tries to figure out why. Though he has lived in New Orleans for the past 10 years, Alexander Glustrom was born in Atlanta, went to Paideia High School and even had his 13th birthday party at the Plaza Theatre. Therefore, it’s only appropriate that his documentary “Big Charity” has been selected as one of the encore screenings at the Atlanta Film Festival. It will be playing at the Plaza at 9:15 p.m. on Sunday. The film outlines the history of Charity Hospital, a 300-year-old public hospital in New Orleans, comparable to Grady Hospital here in Atlanta. 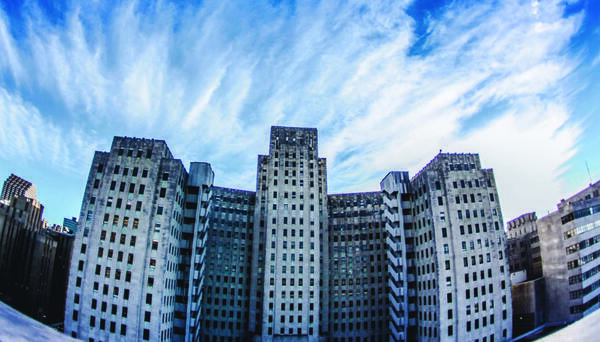 During Hurricane Katrina, the hospital only flooded in the basement, so it was identified as an ideal place for health care in the city. Once it was ready to open, however, the Louisiana governor kicked everyone out of the hospital, leaving the city without a major health care facility. “Big Charity” digs into the dispute over the hospital’s closure. Glustrom and his team shot the film over the course of 10 years, from the time Hurricane Katrina hit in 2005 to early this year. It also includes archival footage of the hospital from the early 1920s, old-school travel films and footage from inside the hospital during Hurricane Katrina.